I can still hear my friend Elisa saying this, one night, when a couple friends and I were having dinner at her place: "Humans are the only mammals who still drink milk once they've reached adulthood". That was close to ten years ago! I remember scoffing. To me, milk was essential. In the morning with cocoa powder. After lunch in the form of a yogurt or cheese. Same thing at dinner. I truly believed in what they used to say on French TV: "Dairy products are our friends for life" (and we should consume them three times a day). Years later, I gradually stopped drinking milk, mainly because Octave is intolerant. And I started doing a little bit of research, to consider whether I should still buy some for me, or if I could live without it. Long story short, I do not believe that milk is good for my health, my bones, etc (I might even be starting to think the opposite, but I do not want to start a debate, or do I?). I still eat dairy products, fermented ones, like cheese, yogurt (I found a producer who uses reusable containers, but really contemplate on making my own), but I replaced my morning milk by almond milk (served with muesli, cocoa powder or blended in a delicious smoothie). 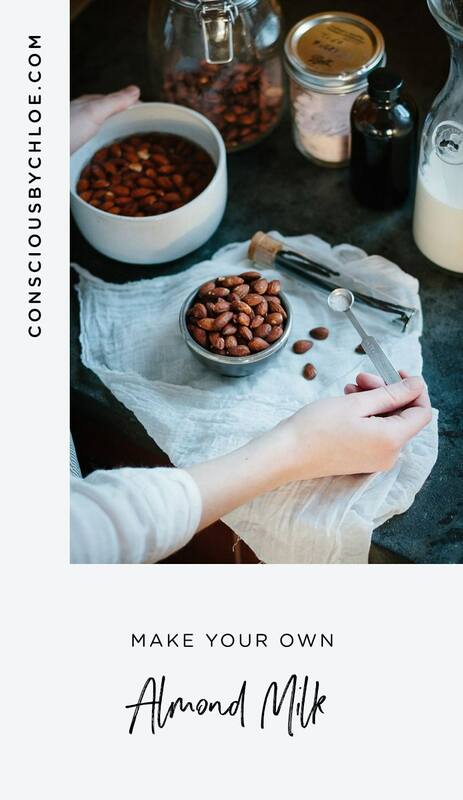 I love making my own milk, I love baking cookies with the almond meal that I am left with after straining, I love knowing where my products come from (the almonds we buy are local and organic, our house has a filtered water faucet). Now I know almond production is not the most environment-friendly (California/drought), so if you have an informed opinion on this matter, please share it. Almond milk is a great alternative to cow's milk and it's so easy to make, you won't regret hauling these milk bottles back from the store. 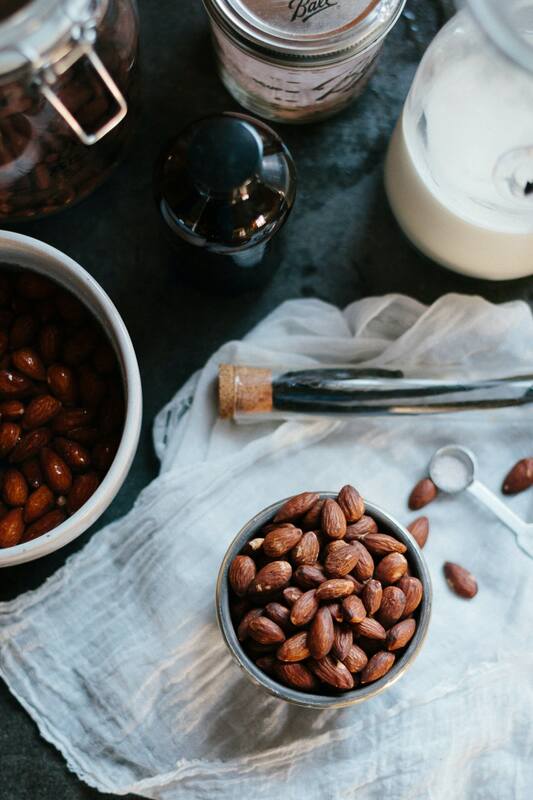 Put the 1 cup of almonds and 5 cups of water in a blender and blend for 1 minute. Strain the mixture into a large bowl or pitcher through a cheese cloth. (optional) Put the mixture back into the blender with vanilla, dates, or any other sweetener and add 1/8 ts salt. Store in a sealed container in the fridge for up to one week. This recipe works with all kinds of nuts. Try them all! 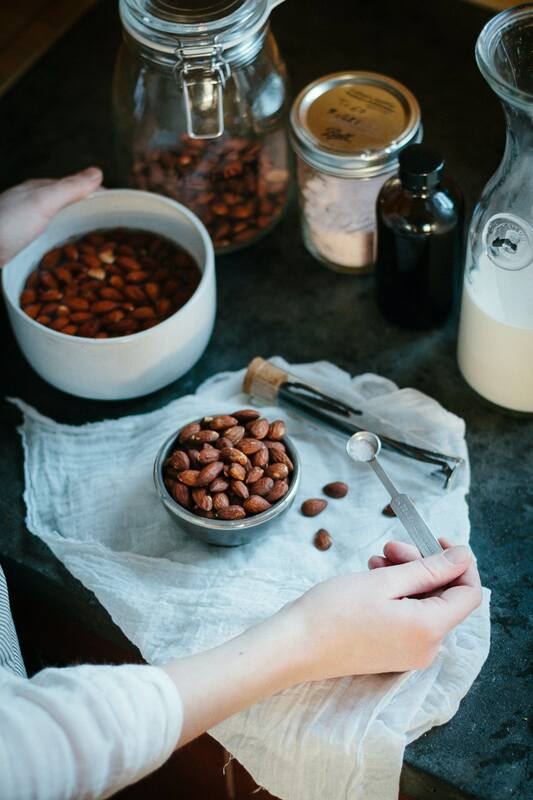 Please share your own favorite nut milk recipes in the comment section, I'd love to try them!